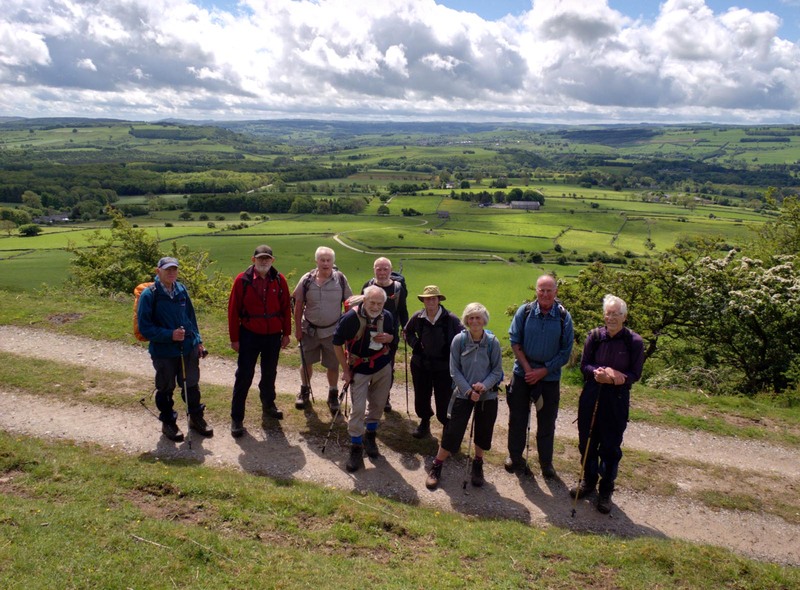 The ‘plague village’ of Eyam in Derbyshire was the starting point of a recent 12-mile circular walk by East Cheshire Ramblers. Eyam is best known for an outbreak of bubonic plague in 1665 when the brave villagers chose to isolate themselves rather than flee in order to prevent the disease from spreading. As well as numerous graves and moument that can be seen among its quaint stone-built cottages, the ten walkers passed one of several boundary stones around the village where incoming food and supplies were exchanged for coins saturated in vinegar. With perfect timing, light drizle just before the start soon gave way to sunshine (causing walk leader John Goodman to utter some words about sunshine and the righteous) and indeed, the weather remained fine, if a little gusty, all day. In Stoney Middleton the group noted the early 19th century octagonal toll bar house, now a thriving fish and chip shop. Coffee overlooking the wooded Coombs Dale was followed by an ascent to Longstone Edge and its outstanding views. Formerly a productive mining and quarrying area, the Edge has now been widely reclaimed by nature. The next objective was the attractive village of Great Longstone, which was approached through colourful meadows. Appropriately, on a Test match day, lunch was taken on benches at the village cricket ground, again with extensive views. 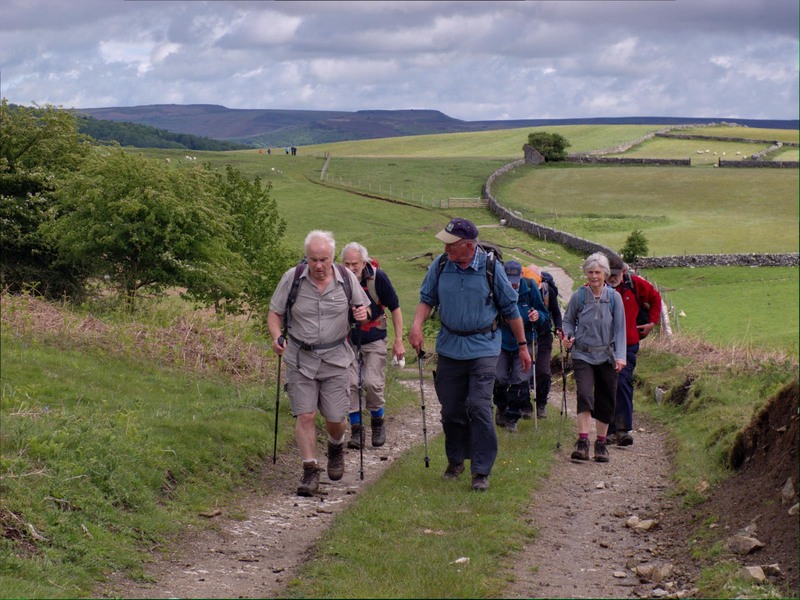 The fourth and final village of Little Longstone was the next objective, before the party headed up to Longstone Moor, and a wind-assisted return to Eyam via the hamlet of Housley. As well as various places of historical interest, including a pre-historic ‘double dyke’, the group also spotted a rare bee orchid in full bloom.